As the construction industry grows so does the risk of injury on the jobsite. Projects are becoming larger and increasingly complex, not to mention the compressed schedules we are all asked to deliver. Each of these factors puts workers at a greater risk of injury in a fast paced, complex environment. All the while, contractors are being asked to reduce costs and take on more risk to complete these projects. One way contractors are managing this risk is in the form of Contractor Controlled Insurance Programs (CCIPs). These wrap up programs allow the pooling of insurance amongst contractors and subcontractors on the jobsite which can reduce the cost of general liability, workman's compensation and excess liability. Since wrap ups are loss sensitive, the ultimate insurance costs for a project are directly related to the claims activity and costs on the project. Some wrap up policies even provide a “basket” aggregate that combines both operations losses and completed operations losses under one aggregate limit. When the policy contains this form of coverage grant, it is possible to have the entire policy limit exhausted by a single bodily injury claim during the construction operations phase of the project. For this reason, top notch safety programs are critical to the ultimate success and costs of wrap up policies for GCs. With the rising cost of insurance and medical care the cost of injuries on the jobsite continues to grow. The costs associated with workplace injuries can be significant. For this example let’s take a look at hand injuries. The average direct cost across industries for hand/finger/wrist related injuries is $21,726 according to the NSC. This is the least expensive workplace injury by the numbers. This is still a significant cost considering nearly 13,000 hand injuries in 2012, which makes up over 13% of workplace injuries, second to only back injuries. Work related injuries cost companies over $200B each year. Often times we may not be aware of the true cost of jobsite injuries, but OSHA has put together a helpful calculator to put it in perspective. The OSHA $afety Pays Program allows you to input the type of injury, your typical profit margin and the number of injuries per year into a calculator which allows you to understand how much additional work must be put in place to cover the cost of injuries. This calculator can really open your eyes to how much injuries can truly cost a project. At the end of the day injuries on the jobsite can truly be a threat to the company bottom line. With defense costs, the cost of legal fees, experts, and court costs, being close to 5 times the direct cost of injuries the numbers can grow quickly. Consider our hand injury cost of $21,726, this could result in over $100,000 in defense costs and bring the cost of the injury close to $125,000. It doesn't take much for this number to grow and put in jeopardy project limits per occurrence. At the end of the day none of us want to be working for free so we need to protect the bottom line. In order to do this we need to ensure that proper coverages are in place for projects in addition to a well thought out safety program. Utilizing many of the new tools available on the market today we can manage our safety risk and protect against unnecessary injuries. This allows for us to provide a safe place for employees to work in addition to profitable business. 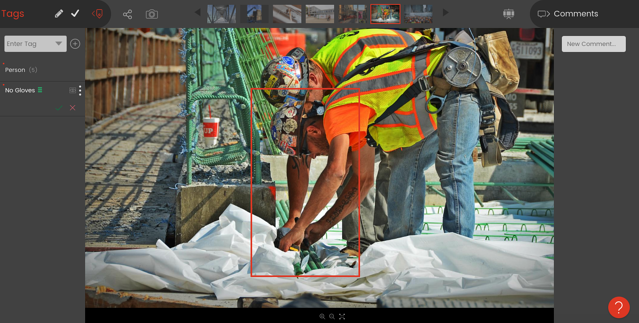 If you are interested in how Smartvid.io can help support your safety professionals and reduce the risk of injuries on the jobsite, reach out to one of our team members today!